A strong field has been assembled for Rás Maigh Eo this weekend; the addition of A1 riders this year upping the standard even further. Cathal Dillane of Gerry McVeigh Cars ran out the overall winner 12 months ago, when some of our best juniors also excelled in what was aggressive racing. And while there is depth across the field this time around, and not just among the A1 riders, adding the top tier of Irish domestic cyclists brings a new dimension. A look down through the start list quickly reveals that Bio-DHL-FR Services are taking a serious approach to the race. And they should prove a real handful. In their ranks this weekend is national elite criterium champion Dillon Corkery. And he will be aided and abetted by four other quality A1 men. They are Aaron Doherty, Cian Sutcliffe, Jack Caldwell and Sean Moore; the latter having already claimed the Mick Lally Memorial this season. UCD Cycling Club has also assembled a tidy line-up for the race which includes last weekend’s Lucan GP winner Simon Jones. With him this weekend will be Conor Murnane, Jason Kenny, Leo Doyle and Sean Landers. UCD’s Maura Claffey is one of only two woman in the field, along with Ewa Maria Kuras of Arcane Cycling Team. 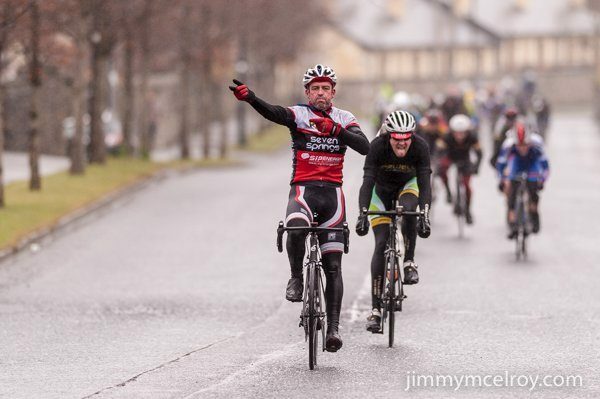 There are also solid line-ups from host club Westport Covey Wheelers, Castlebar Cycling Club, Ciclotel YPB and Lucan CRC. Paul Kennedy is among the Newcastle West CC team and Richie Maes lines out for Strata 3-VeloRevolution alongside Mark Quigley. Scott Orwell and St Tiernan’s have also assembled very strong selections for the event which begins on Saturday morning with a 104km road race. Later that afternoon there is a 3.4km hilly TT and the event concludes on Sunday with a 108km road race. Also on Sunday a one-day race for A4s takes place as they are not catered for in the main three-stage race. You can access more details about the race and stages by following this link.